6.1 Effective Megapixels: For exceptional resolution that can produce very high definition 3008 x 2000-pixel images for printing 11 x 14-inch photos. Exposure Mode: Programmed Auto [P] with flexible program, Shutter-priority Auto [S], Aperture-priority Auto [A], Manual [M]; Digital Vari-Programs: These easy-to-use modes automatically optimize white balance, sharpening, tone (contrast), color, saturation and hue for great results. 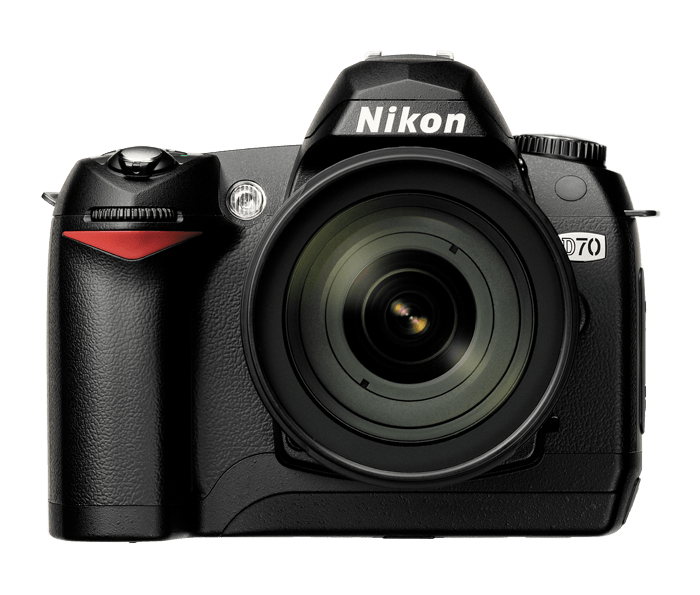 Begin shooting right away by selecting Portrait, Landscape, Close-up, Sports, Night Portrait, Night Landscape or Auto for automated performance. Continuous shooting mode: With 3 frames per second and a dynamic buffer that lets you capture up to 144 pictures in sequence with no buffer stall using selected CF cards. Top Shutter Speed: Featuring a 1/8000 second shutter speed. 3D Digital Matrix Image Control: 3D Digital Matrix Image Control ensures optimum results in digital images with precise exposure control, adaptive auto white-balance control and optimal color accuracy; Exposure Metering: TTL full-aperture exposure metering system: 1.) 3D Color Matrix Metering with 1,005-pixel RGB sensor; 2.) Center-weighted: Weight of 75% (8mm dia. circle) given to 6, 8, 10 or 13mm dia. circle in center of frame, or weighting based on average of entire frame; 3.) Spot: Meters 2.3mm dia. circle (about 1% of frame) centered on active focus area. Autofocus: 5-area autofocus; TTL phase detection by Nikon Multi-CAM900 autofocus module with AF-assist illuminator. Compatible Lenses: DX Nikkor: All functions supported; Type G- or D-AF Nikkor: All functions supported; Micro Nikkor 85mm F2.8D: All functions supported except some exposure modes; Other AF Nikkor (excluding lenses for F3AF): All functions supported except 3D Color Matrix Metering, i-TTL balanced fill-flash for digital SLR; AI-P Nikkor: All functions supported except 3D Color Matrix Metering, i-TTL balanced fill-flash for digital SLR and autofocus; Non-CPU: Can be used in exposure mode M, but exposure meter does not function; electronic range finder can be used if maximum aperture is f/5.6 or faster. IX Nikkor Lenses: cannot be used. More Exposure Control with Flash Photography: Shoot in any lighting environment with the D70's built-in Creative Lighting System and 3D Color Matrix Meter with 1,005-pixel RGB sensor. Synch speed of 1/500 second for flash.